Our range of products include lime stone powder conveyor, food vacuum conveyor, vacuum sugar conveyor, wood chip vacuum conveyor, sugar powder pneumatic conveyor and sand conveying system. We are engaged in bringing forth a comprehensive assortment of Lime Stone Powder Conveyor. This conveyor is manufactured by our workforce with excellent quality material and advanced tools as per the set quality standards. The offered conveyor is inspected on numerous parameters in order to deliver a defect free range. Also, we offer this conveyor in assorted specifications to meet the diverse needs of customers. Vacuum conveyor in food industries is used to convey the materials from a container or bags to designation with the help of conveyor line. ALTOMECH conveyors can handle the particle size up to 0.5 micron and capacities up to 15 tons/hour for the distance of 100 meters depending on the material conveyed. For applications in these industries, these conveyors are designed as customized. It can handle any types of materials in an enclosed manner without manual operation. 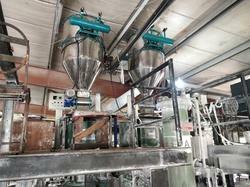 ALTOMECH vacuum sugar conveyor is used to transfer sugar molecules from bags to discharge point. 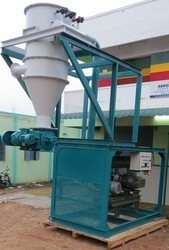 Hence this can be done with smooth conveying without wastage of material. Altomech conveyor for wood industries is used to transfer wood chips, wood powders, etc to the required hopper. This has specialized filter with makes a proper way of conveying. Hence this has a higher efficiency of power which can also handle course materials. Altomech Sugar industry Pneumatic Conveyor is used for conveying sugar particles from designation point to discharge point. Though it has awesome design it can be used to transfer material without damage. It has powerful resistance to handle material smoothly. In tune with advanced market developments, we are providing an exclusive range of Foundry Sand Conveying System. This conveying system is designed in obedience with the set standards by using the top quality material. Our conveying system is used for transferring bulk material in various industries and is very reliable also. Customers can avail this conveying system from us in diverse specifications within a given time frame. With the support of our adroit professionals and contemporary technologies, we are offering a wide spectrum of FRP Powder Dust Collector that is ideal for the purposes like critical dust or bulk dust material collection. 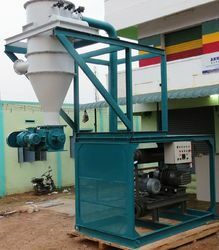 This dust collector is usable in FRP powder manufacturing companies similar others Offered dust collector is accessible in number of specifications according to the requirements of clients. Lean phase pressure vacuum conveying systems generally use positive displacement exhausters to provide a vacuum to convey materials through a pipeline to receiving vessel where the air and product are filtered and separated. Product enters the pipeline directly or via a feeding device (rotary valve or screw feeder) if metering is required, is suspended in the airflow and is conveyed at relatively high velocities depending on particle size and density. The conveyed product is discharged from the receiving vessel on a continuous basis by a rotary airlock or intermittently by valves. Our organization is passionately engaged in offering Pneumatic Conveying System that is ideal for conveying purposes. 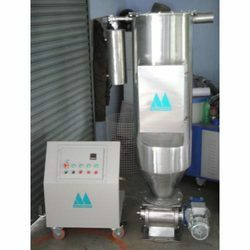 Obtainable in varied specifications, this conveying system is widely demanded in the pharmaceutical, food, cement and several other industries. 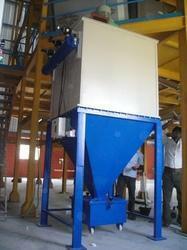 Offered conveying system is designed using premium quality components and high-end technology. Vacuum transfer systems for powder and bulk materials conveying is the preferred transfer method for many industries for a variety of reasons. With the use of vacuum transfer systems, hand scooping methods in factories and processing plants are eliminated. This is replaced with material delivery in an enclosed system, thus eliminating the unwanted dust. Vacuum Conveyors provides an efficient method of moving fine powders, granulated material and other small particles in an effective and reliable manner without product damage. 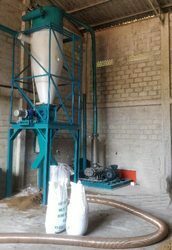 ALTOMECH Dilute Phase Pneumatic Conveying is ideal for transporting a wide range of dry bulk materials in a simple and cost effective manner. Materials are fed into a high velocity gas stream by use of rotary airlock valves and carried through pipelines to the destination. The use of vacuum and pressure conveying options facilitates the handling of materials from multiple source points and can distribute to multiple destinations. Dilute phase conveying also supports flexible pipe routings (horizontal, vertical and turns) ideal for new and retrofit installations. The standard piping and associated filters result in an enclosed transport environment making for a safe, sanitary and clean mode of transport. Products commonly conveyed in dilute phase systems include flours, resins and compounds, specialty chemicals, ground feeds, and granular and pelletized products. Altomech Lean Phase Conveyor is used to transfer the material which is in the form of powders or granules from one station to another. This can be used for industrial purpose. Hence it reduces man power and keeps the environment clean. 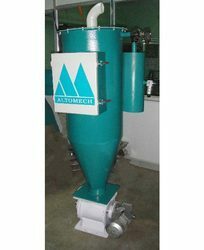 Altomech Grain Vacuum Conveyor is used to transfer grain material from the hopper to required designation. It has an attractive design for which it can handle heavy load to transfer. Our firm expertize in providing our clients with an expansive range of Hopper Loader Vacuum Conveying System. 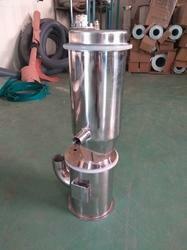 These systems are widely used for transferring the material from material dumping station to vacuum silo. For this purpose, these systems are mounted on top of the lid of high speed heater mixer. Available with conveying capacity of approx. 3000 Kg./hour, these systems are provided with anti dust reverse jet cleaning system for dust free environment. Moreover, these systems are offered in varied specifications to meet the diverse industrial applications. Level Probe for ensuring the emptiness of material from Silo, pneumatically operated feeding valve to feed Extruder Hopper. Backed by the team of experienced professionals, we actively offer a wide range of vacuum Batch Conveyor. 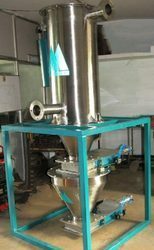 The offered vacuum conveyor is designed by our team using premium quality material keeping in mind the market need. 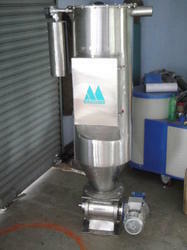 This vacuum conveyor comes in various specifications so as to meet the needs of customers. Our vacuum conveyor is well known for their higher pitch spacing and high efficiency.